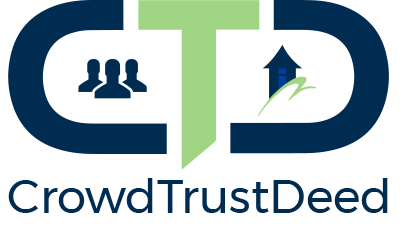 Loan to Value Ratios (LTV’s) and the resultant Protective Equity remain paramount for Hard Money Lenders and Trust Deed Investors. 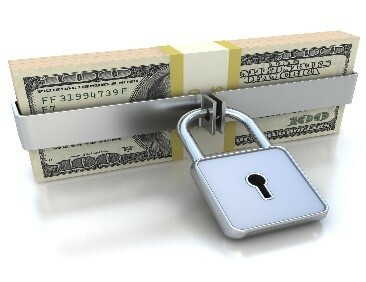 Protective Equity is the difference between the value of the real estate and the loan amount. While the lenders earned all of their principal and interest owed, a recent Foreclosure, Bankruptcy and distressed sale of an inland empire property reminded us of the 8 reasons to guard protective equity. 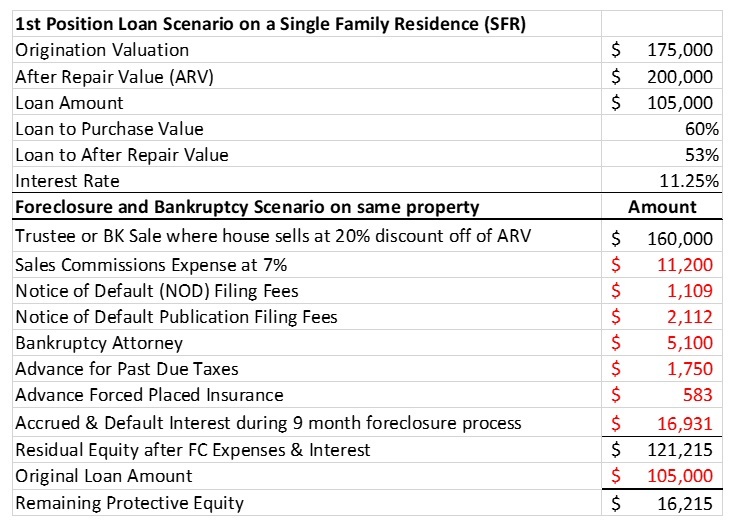 The example above shows that after all 8 Foreclosure, Bankruptcy and Sale expenses, the lender is left with $16k+ of protective equity on a 60% LTV loan at origination. Yes, plenty of equity cushion at a 60% LTV, but a 70% or 80% origination LTV would create a yield haircut. The Hard Money Loan rule of thumb of a 65% maximum LTV’s is especially important as borrowers attempt to cash in on their growing home equity through cash-out refinances. Nationwide, the average cash-out refinance in the three months ended in August, 2015 left the borrower with mortgage debt of about 68% of the home’s value according to WSJ.com. While a 68% LTV and 32% protective equity may seem substantial, if problems arise, equity erodes quickly.